Portrait of a Tiger – highlighting Fairhill teachers and staff. Teacher’s Requests: Volunteers and Donations – a bulletin board where teachers can post requests for classroom supplies and volunteers for special projects or events. 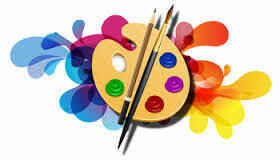 Ms. Florjancic is in need of parent volunteers who could help prepare art lesson materials, prepare artwork for display and hang up/take down artwork around Fairhill. No special skills are necessary!